In battles, attack ranges and damage inflicted are influenced by the height of the land and the geographical features, and by the direction and the position of the attack. Some characters are good at close-range attacks, and some are good at supporting from a distance. Make use of the various characteristics of each of the characters, and decide your tactics carefully to gain victory in battles. Plains, deserts, wilds, volcanoes, snowy lands... 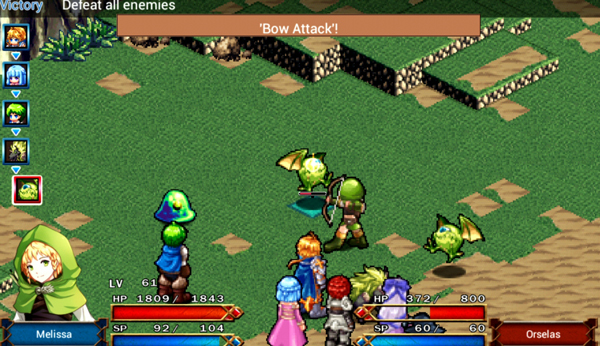 Fierce battles unfold across a wide range of landscapes, rendered beautifully in an isometric view! Don't miss them! As you progress through the story, you can gain Proficiency Points. Using these points, you can learn new skills. Learnable skills differ from character to character. What's more, the skills themselves are all different. 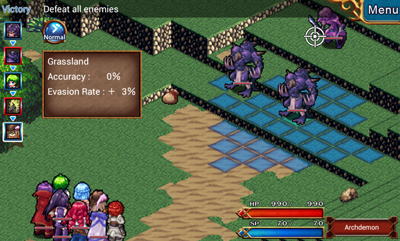 Some skills can be used in battle, and some directly affect the character's statuses. Skills are in a tree format, so it's necessary to increase the level of related skills to a certain level in order to learn a new skill. 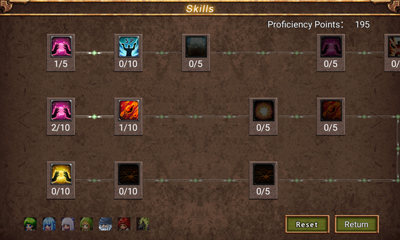 Also, you can reset the points you've allocated and reallocate them, so you can make very careful decisions about the skills your characters learn, until you're completely satisfied. 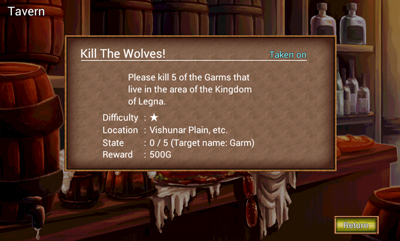 As well as building up your characters, you can take on quests in taverns in the game. 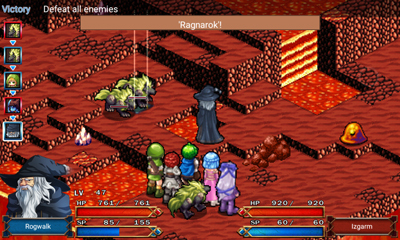 By taking on quests, you can gain funds and equipment necessary to strengthen your fighting power. Also, even after finishing the story, you can play the game through from the beginning with your characters at the levels you developed them to in the completed game. What's more, you can up the difficulty by selecting 'Hard Mode', and enjoy battles and strategies which will have you on the edge of your seat even more than before.